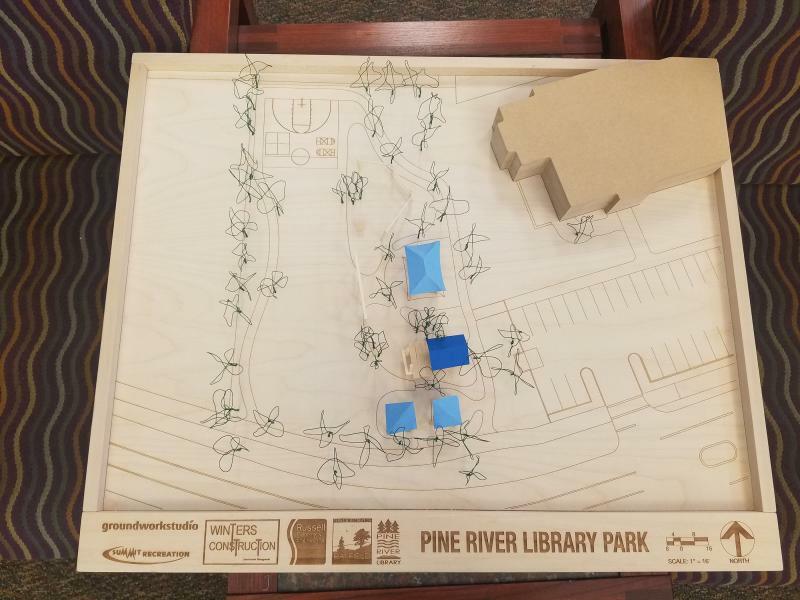 Groundwork Studio worked with the Pine River Library and the Town of Bayfield to design-build a new park that will serve as a multi-generational community center. The project was initiated by the Library in direct response to middle school students overusing the library grounds after school. 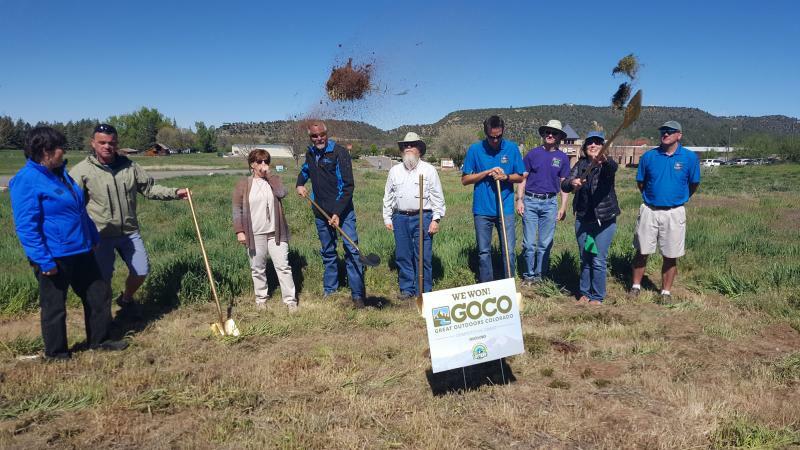 It was funded through a combination of sources including GOCO and CHF grants as well as contributions from the Library, Town and the Southern Ute Tribe. The University of Colorado Denver provided preliminary design services to the town and library and the final design was based on that approved design with additional input from the community, library and town. Community engagement included presenting a 3D physical model and presentation boards with play equipment and design feature options and interviews with targeted stakeholders. The community voted on their favorite play equipment and design features. Groundwork Studio held a Pop-Up Playground as a joint event to celebrate the groundbreaking and evoke comment on the Bayfield Parks, Open Space, Trails and Recreation Master Plan. The final park design maximizes features in a relatively small space. This project demonstrates our ability to take a basic concept (such as the one developed for the Pinion Park Splash Pad) and develop it into a constructable project that truly addresses stakeholder and community needs. 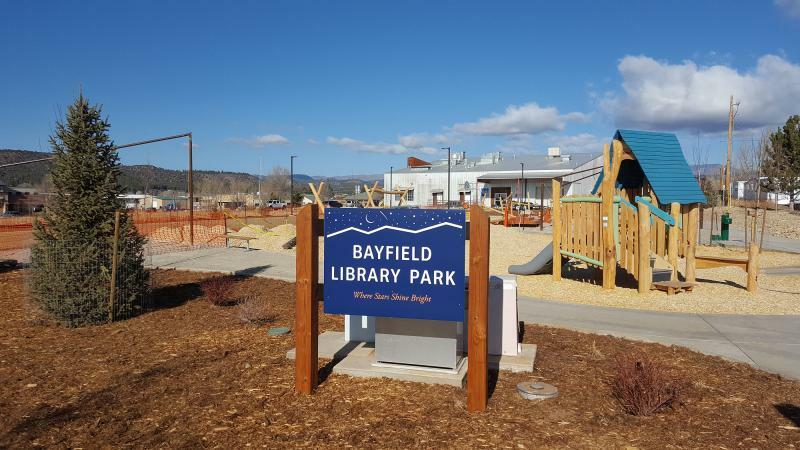 The park serves a broad age range within the Bayfield community, including play equipment for ages 2-12, a loop trail for mothers with strollers and dog walkers and multi-use courts with four-square, pickleball and basketball.